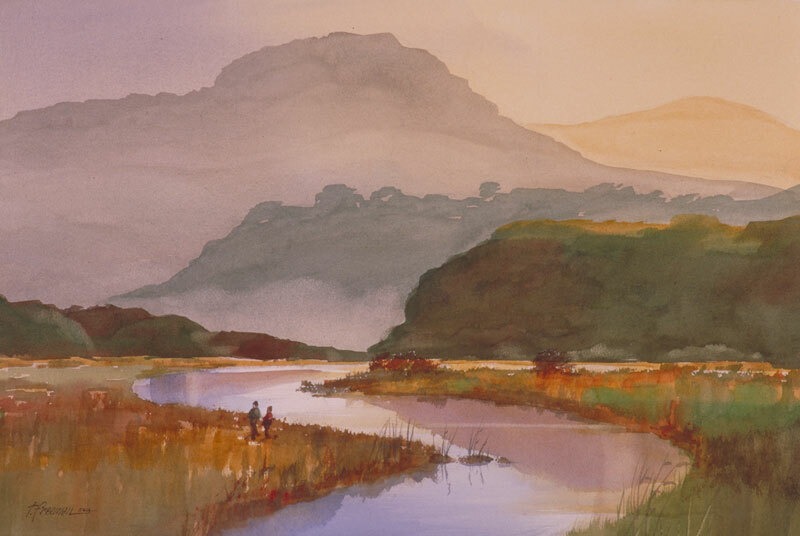 Thomas Freeman Original Watercolor Painting: "Tranquil Morning"
The Carmel bird sanctuary again was the scene here, although I've added the river. It's early morning and fog still clings to the hills of the Coastal Range. There's reflections in the river and some slender reeds along the shore.